In my last blog post I wrote about writing intentions and goals for 2013. I have other goals unrelated to writing – like getting more organized and the standard improve-my-health-through-diet-and-exercise. Let’s not forget my ongoing goal of raising two pre-teens to eventually reach their full potentials and be (hopefully) less narcissistic than I was at their age. Geoff started a story, in Gáidhlig – on his blog, and I added my best shot at the translation in a comment. Now I’m going to post what he wrote plus my translation, then add a few more lines in English. Hopefully we can keep this up, and write a little narrative together. ’S e oidhche dorcha ’s stoirmeil a bh’ ann. Choimhead a’ bhànrigh a-mach uinneag an caisteal ris an gailleann, dh’fheitheamh i ris an rìgh. Chuala i a-rithist mu dheidhinn an rìgh agus ceannard an fhreiceadain. It was a dark and stormy night. The queen watched the storm from her window in the castle, and waited for the king. She had heard (or heard rumors?) about the king and the leader (of their personal?) guard. Sir Iain had served on the personal guard of king Niall’s father, the old king, during the war. Queen Siobhan’s marriage to King Niall established peace between the two kingdoms. But after five years, Sir Iain still did not trust Queen Siobhan and insisted on meeting with the king in private. And next: Geoff’s addition, anns a Gáidhlig?? 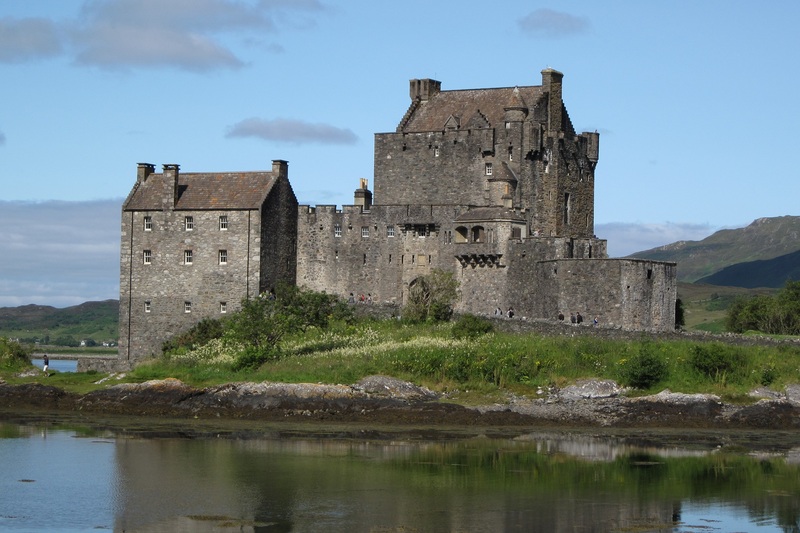 This entry was posted in Gàidhlig Path and tagged blog, Gàidhlig, heroic fiction, writing. Bookmark the permalink. This is such a cool way to keep your language skills up. My husband speaks/reads Japanese, and he’s always struggling to find new and engaging ways to use his skills, and this might be right up his alley. How long did it take you to translate those pieces? Thanks, Eliza! I translated only the first three lines from Scottish Gaelic to English. It took maybe half an hour. (I spent more time thinking about what to do next with those three lines.) It’s up to my friend to translate from English to Scottish Gaelic, which is much more difficult. This could be the start of a novel! You are doing very well–better than I am. I am saying “no” to a lot of studying until I retire–when life begins again and I have energy to pursue my desires! Gle mhath, Miriah!